With yoga, sound & crystals. On November 17th, join Kathy Birch (Hanu Yoga) and Sandi Hancock (Yoga Moon Margaret River) as they take you on a journey through your body and energy centres. We will explore the effect of movement, stillness, breath, sound and crystals on our physical and energetic bodies. Everything is energy and we are all connected. When our energy centres or chakras are open, it allows the life force or infinite source to flow freely through us, unimpeded. You know when things just ‘flow’ in life and you feel centred, balanced and ‘on purpose’. When life doesn’t flow, there are too many obstacles, you feel like your energy is scattered and you feel unbalanced or ‘blocked’. 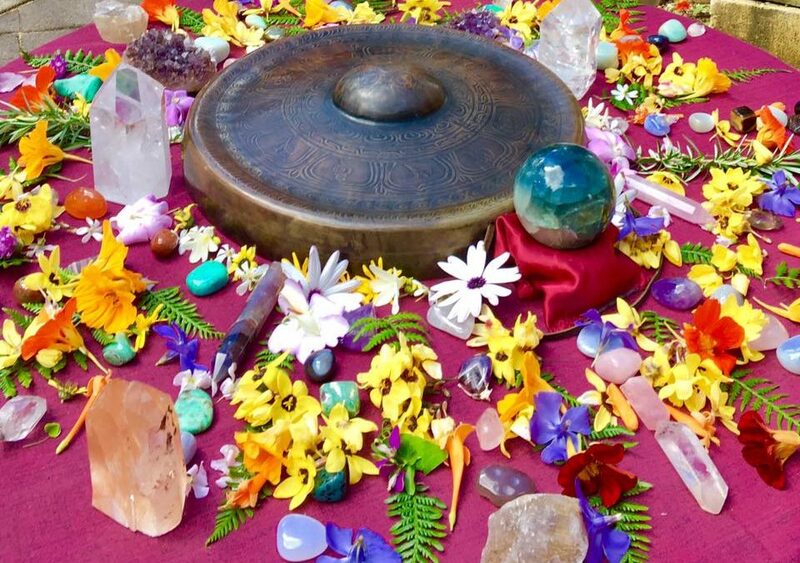 Simple practices using breath, yoga (yin and restorative), yoga Nidra, sound and crystals can help us tune-up our energy, as we raise the vibrational frequency, we feel more connected to our source and each other. Come join us for deep relaxation, as we raise our own vibrations not only for ourselves but for all beings. Book to reserve your spot as numbers are limited. Payment required to confirm booking.